Prior to June 21, 2018, a State could not successfully collect sales tax from out-of-state retailers that did not have any “physical presence” in that State. But on this date, the United States Supreme Court over-turned the 1992 Quill decision, in South Dakota v. Wayfair et. al. The so-called “physical presence test” meant that online retailers could sell items to purchasers in a State without the collection of sales tax, so long as that retailer had no physical presence in that State (meaning it had no employees, headquarters, storage facilities, etc. within the State). The Supreme Court did not iterate a replacement test in Wayfair to help guide states in determining what standards they may apply to attempt to collect tax from out-of-state retailers selling to residents of its state, but it did note that South Dakota’s law, which applied an “economic presence test”, was valid because its conscious efforts to minimize the burden on interstate commerce were sufficient to pass Constitutional muster. In light of Wayfair, retailers should expect a series of attempts by various States to develop their own laws to allow for the collection of sales tax from out-of-state retailers with no physical presence in the State. These attempts will likely be varied, and certain efforts may eventually be ruled to be unconstitutional, but in the meantime, businesses that transact business across state lines must now exercise additional care regarding compliance with the sales tax rules of other States in which they have no physical presence. What Can You Do To Reduce the Likelihood of a Sales Tax Audit, in Light of Wayfair? 1. Keep track of any out-of-state purchasers, especially those businesses with whom you regularly transact business. 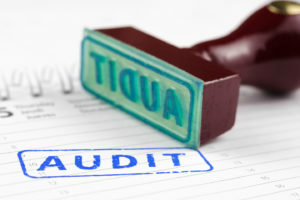 These out-of-state purchasers may be subject to an audit in their home state that reveals your business as a potential target for a subsequent audit, after the decision in Wayfair. 2. Contact an attorney to determine what you need to do to maintain compliance with the various states in which you make sales. An attorney can help you determine if that State has any applicable exemptions (resale exemptions, e.g.) or safe harbors, and can help you determine what information you will need to report or retain. If you are selected for an audit, or have any questions about the sales tax or any other tax questions, contact CARDIN AND COMPANY, APC today! Eric J. Schwarberg is an attorney licensed to practice law in the State of California. He possesses a J.D. and an LL.M. in Taxation, both from the University of San Diego School of Law. THIS BLOG IS PUBLISHED FOR INFORMATIONAL PURPOSES ONLY, IS NOT INTENDED AS LEGAL ADVICE, AND DOES NOT FORM AN ATTORNEY-CLIENT RELATIONSHIP.